Nine-year-old Josie Garcia is a feisty and optimistic girl from Brooklyn who becomes a crusader for preventing disastrous climate change and other environmental threats. 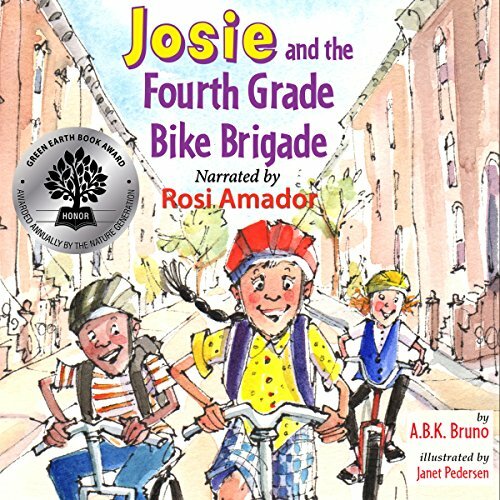 In each book, Josie takes simple, ingenious actions that bring real changes to her neighborhood and the world. As the protagonist in the series, she will inspire young listeners to understand environmental issues and take action. After a summer with Grandma in Ecuador and an enlightening class trip to the zoo, where she encounters Frozey the Polar Bear, Josie decides that it is time to take action to slow global warming. Her first idea for going green is to organize others to drive less by forming the Fourth Grade Bike Brigade. Her best friends, Matt and Lizzy, along with her brother Damien and other characters from the neighborhood, go along for the ride. But not everyone is in favor of the plan, and when things don't go smoothly, trouble begins for Josie and the Bike Brigade. This series is conceived and written by Antonia Bruno and her parents, Kenny Bruno and Beth Handman, known collectively as A.B.K. Bruno.